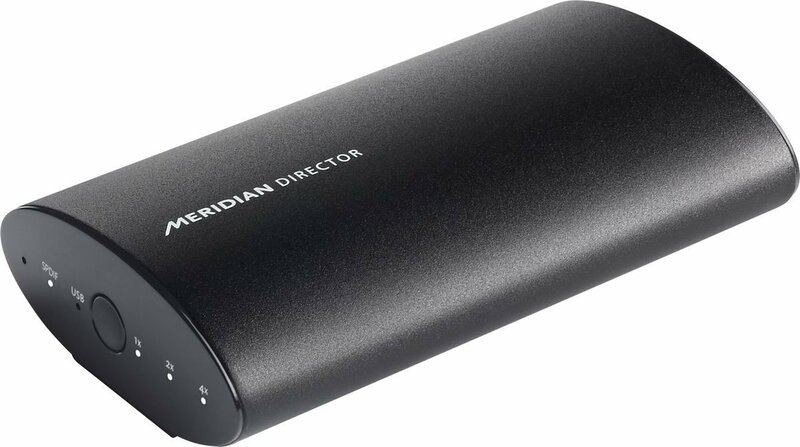 I just ordered the Meridian Director USB DAC, for use on my PC audio setup. I required something that was physically small, and preferably USB powered. Up to 24-bit, 192kHz digital to analogue conversion. including upsampling and apodising filters. -Durable, elegant anodised metal enclosure. -Music grade power supply capacitors. audio system or powered loudspeakers. Well, I for one am pretty excited about it! I expected comments of "Why no DSD!? Why no MQA!?" by now. You guys are letting me down! Why no DSD!? Why no MQA!? Why no Micro iDSD Black Label USB DAC and Headphone Amplifier? That iFi is a nice unit! I simply don't need the headphone amp as I already have a Schiit Asgard 2. And I only really listen to 16/44.4 so the high rez stuff is lost on me. So, the Meridian Director fit my bizarre aesthetic and needs. It's discontinued so they're selling them for $350. I think they originally went for $700 years ago. There we go! That's more like it! Got my Meridian "Direct" (what it's actually labeled as) DAC today, currently auditioning it with some 320s in Winamp using the Maiko WASAPI plugin for bit perfect playback. Fit and finish of the packaging and the unit itself are top notch. Nice unboxing experience. Great quality RCA jacks. Unit has a pleasing brushed metal texture to it. Feels like "quality". Also noticed that it's actually made in England, not China! Interesting! 1.) More extension and clarity in the treble. I thought these Polk Audio Blackstone TL3 speakers were a little laid back on the high end due to the ring radiator. This has brightened them up, which isn't a bad thing, in my opinion. I may have just gotten lucky on synergy here, because it added in a brightness that I had with my previous Klipsch satellites. I tend to prefer something a little bright for nearfield listening, just my personal preference. It's very possible that this is just the fact that it has zero hours on it, and may mellow out over time. 2.) Increased vertical soundstaging and sweet spot. My motherboard's onboard sound (122db s/n ratio, Japanese audio caps, etc) presented a decent stereo image, but the additional height from the Meridian Direct is one of the first things I noticed. 3.) Increased bass slam. Didn't touch my subwoofer gain knob, but I'm noticing more impact in the bass. That's it for now, will post more listening impressions in the future! So far all the bits are nice, but I'm listening for any static clicks/pops and/or dropouts. Kindly move on then, don't critique my choice of source. So, I have some more thoughts to share after listening for several hours. When listening, I was experiencing a sensation in the sound, specifically the highs, that I can only describe as some sort of "phase shift". It wasn't pleasurable to me, and I felt like it was fatiguing to my ears. I kept trying to figure out why it sounded like the staging of the upper midrange and highs was shifted up and out from where it was on the previous DAC. "The difference between the old and new filters is clearly not in the amplitude response, but in the phase behavior: the old filter is linear to 22kHz, but the new filter has a gradually increasing phase shift that increases with the frequency. This is caused by the minimal phase behavior of the filter. Although the resolution of the picture is not high enough to see, the phase shift starts already from the lowest frequency and increases more as the frequency goes up (logarithmic). So the absence of the pre-echo comes at the cost of an increasing phase shift across the entire frequency range. People may argue that the shift is only small, and this may be good enough for normal audio applications, but for high-end it seems a serious issue. For one the human brain uses phase information of frequencies up to 3kHz for spacial localization. The inner ear itself has an amplification around 3kHz, which makes the ear most sensitive in the 2 to 5 kHz range (for human speech). And the most important one, instruments and voices are not just limited to a single frequency, they operate on a range. For instance drums even operate on the entire range from low to high. Every frequency component of the sound will get a different shift in time with this filter, it is like smearing the sound over the frequency range, with lows first and highs last. This might also explain why the lows are more pronounced." If this is accurate in terms of the filter that Meridian is using, then perhaps this isn't the DAC for me. 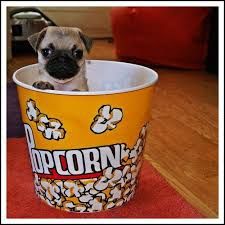 I did not like the sensation that I felt in my ears while listening! Interestingly, I asked my wife what she thought of the sound and she had nothing but positive things to say. She liked it very much and thought it sounded great. Guess I'm just more sensitive to this particular aural sensation. Another post that again almost EXACTLY describes the sensation I felt in my ears. "My own experience with the apodizing filter: the advantages are pretty clear from the start, pin point imaging and spacious at the same time. Unfortunately I also noticed some disadvantages. The main problem is that I got a feeling of pressure on my ears which made listening uncomfortable. Also I found the sound to be dull or boring, and I ended up playing 6dB louder than I am used to. I suspect the pressure on my ears killed the highs, so I compensated for that. Another remarkable issue was that the sound was not natural when being not in the sweet spot, for instance when I was just walking through the room. A final remark is that I found the bass to be pronounced too much, this also adds to the unnatural feeling the filter gives." Interesting review. And my introduction to Mr. Apodizer! How do you correlate the ever increasing phase shift to increased pressure in your ears? I have no idea. It's obviously not a physical pressure, but a sensation that causes the ear to have the same feeling/response as if physical/atmospheric pressure were being applied. I'm listening again right now so I'll see if it happens again. Alright, so after listening to the meridian again for a while, I just switched back to the onboard sound and played the same songs. While the soundstage width and height shrunk, and the music sounded more localized to the actual speakers, I'm not getting that strange pressure sensation in my ears. It's easier for me to listen to again - much more enjoyable. Well, that was a quick audition, the Meridian will be getting returned. Also, further proof that everyone hears things differently, when I went back to the onboard sound, my wife said "Now it sounds like I have cotton stuffed in my ears!" Well I'm glad I didn't pull the trigger! Great review @Clipdat ! Thanks. YMMV. Like my wife, you might have really enjoyed the sound and found it flawless. Apparently some people like me are more sensitive to filters/upsampling, etc, etc. If anything, this experience has helped solidify the characteristics in a piece of gear that sound "good" to me. What DAC are you using now on your computer rig? Just the stock MB audio outputs. I'll have to check the documentation now! Depending on the make/model and age of the board, it may have a very capable chipset. A lot of the "gaming" style motherboards started putting a lot more thought into their implementations in recent years. 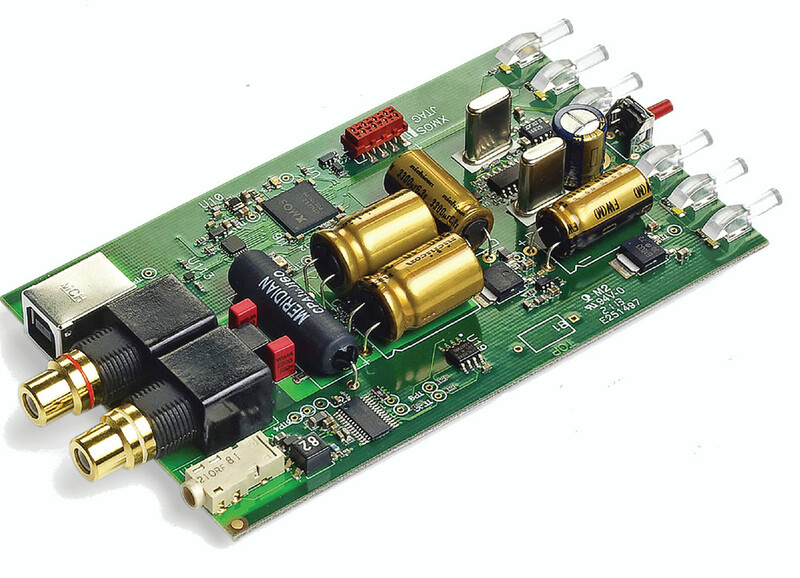 Such as physically isolating the audio portion of the PCB, and the inclusion of high quality op amps and capacitors. Yep. My office rig is a micro-ITX MB. Pretty small, barely enough room to squeeze a video card in there! You got me curious though. I definitely want to upgrade my audio on this box. Logitech speakers say goodbye! What model # Logitech speakers are you using? Why on Earth would someone spend $350 to listen to 320kbps MP3's? That's crazy. My guess is the Meridian brought to the forefront the flaws of the source material and it was unpleasant. MP3's are unpleasant. Definition of threadshitting right here folks. Question + opinion = threadshitting. Wrong. "Making unhelpful, rude, uninformed posts in another's thread or detracting from the normally intelligent and civilized discourse is considered threadshitting." @heiney9 did you miss the post up above where I said "Kindly move on then, don't critique my choice of source."? The title of this thread isn't "Let's discuss mp3 vs. flac vs. wav". It's a DAC review. Critiquing and criticizing my source of choice, and then implying that I'm mentally deranged, demented or insane meets the above listed definition as making posts that are unhelpful, rude, or uninformed.